"People can label us however they want, but it’s been an interesting journey," Nate Zuercher said. Recording artists switch genres in the music industry. The Bee Gees morphed from folk to disco. The Beastie Boys evolved from punk to hip-hop and Katy Perry changed from Christian to pop. Judah & the Lion also started out as a Christian act. The group's initial album, 2011's "First Fruits," was worship-themed. "That's where we were at that time," banjo player Nate Zuercher said while calling from Louisville. The Nashville-based band shed the Christian tag, but then it was pigeonholed as a Mumford & Sons knock-off after the release of 2013’s “Sweet Tennessee,” which blends folk and bluegrass. “We were never trying to be Mumford & Sons,” Zuercher said. 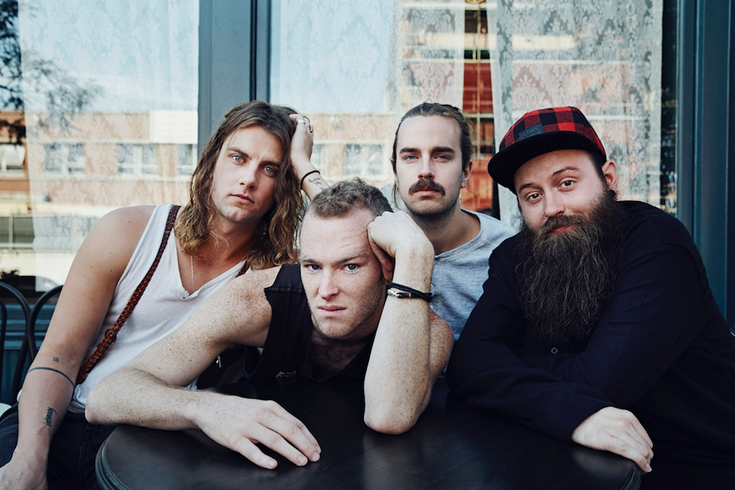 Judah & the Lion, which also includes vocalist-guitarist Judah Akers, guitarist Dylan Oglesby, mandolin player Brian MacDonald, pianist Daniel Weatherby and drummer Spencer Cross, scored acclaim with the 2014 release “Kids These Days,” which peaked at No. 4 on Billboard’s Folk chart. The latest album is an amalgam of hip-hop beats, raps and synthesizers to its old-time folky sound. "We thought it would be cool to combine a bunch of different elements with this album," Zuercher said. "We wanted to go as far as we could with the new songs. We know a lot of people aren't mixing things up today, but we didn't care about that." The band, which formed when its members were out of college and in Tennessee, blends the twang of folk, the beat of hip-hop, the drive of rock 'n' roll and the punch of pop. “Folk Hop n’ Roll” peaked at No. 2 on the Billboard Heatseekers Albums chart, courtesy of the catchy single, “Take It All Back,” which reached the top spot on Billboard’s Alternative Songs chart for three consecutive weeks. “Take It All Back” remains a staple on satellite radio’s alternative channels. "There's nothing cooler than hearing your song on the radio," Zuercher said. "That's a dream come true. We challenged ourselves and it worked out. We got a hit out of it." We know a lot of people aren't mixing things up today, but we didn't care about that." After spending much of the last year opening for Green Day and Twenty One Pilots, Judah & the Lion, which will perform Saturday at the Theatre of Living Arts, is headlining. "It's been amazing just going up there and performing before our own fans," Zuercher said. "We go out there and see fans singing our songs. It's amazing." Judah & the Lion has new songs in the can but don't expect the band to go to the studio anytime soon since its tour has been extended into 2018. "We're not complaining," Zuercher said. "We'll get to the new stuff soon enough. We're putting everything into these shows." 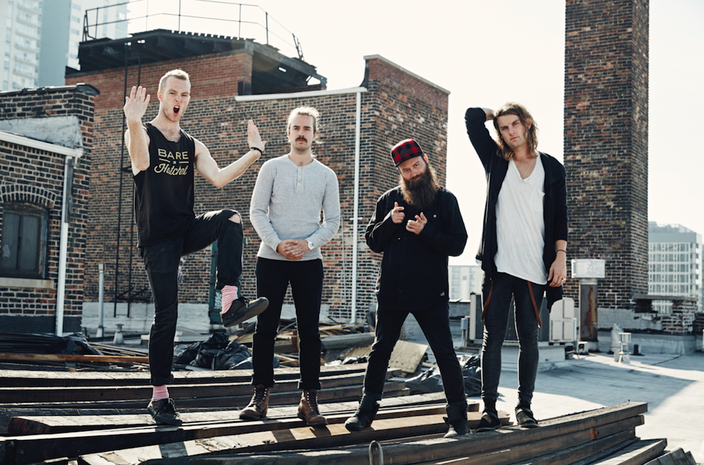 Judah & the Lion appears Saturday, Oct. 21, at the Theatre of Living Arts, 334 South St., Philadelphia. Tickets are $41. Showtime is 8 p.m.